Background story: As some of you may know, I moved my entire collection to my studio recently so my home was completely brush-less, can you imagine? Shock horror. So I needed a selection of brushes for home use but wasn’t keen on navigating the crazy overwhelming Hakuhodo site nor could I justify shelling out for an entire Chikuhodo Z Series (I love them but damn, girl gotta be practical sometimes). In the end, I decided to purchase a second Wayne Goss Brush Set**. With a single add-to-cart click I had a small but well curated brush selection, each of exquisite quality AND at a ‘reasonable price point’ ($225 isn’t cheap by any standard but we’re talking eight Japanese brushes here). Aside from a SUQQU Cheek and a Chikuhodo Z4, the Wayne Goss are the only brushes I keep at home right now. ** This can be confusing but there are two VERY similar Wayne Goss Sets on the Beautylish site – the Anniversary Set and the Collection Set. The only difference is brush 01, which is about double the size in the Anniversary set but identical shape. I purchased the Collection Set first time around but the Anniversary Set is pictured below. PHEW. As far as I know, brushes 02 through 06 are comprised of blue squirrel. Not all blue squirrel brushes are made equal and I can tell Wayne has chosen a premium variety as the hair is silky soft but still bouncey (i.e. decent resistance) and not at all prone to splaying – they hold their pointed shapes very well, even when washed numerous times. Before you ask, they’re not as soft as SUQQU but if you’re accustomed to Hakuhodo, you won’t be disappointed. Brush 01 is a mixture of goat and synthetic hair. Brushes 07 and 08 are detail brushes, I’m not certain what fibre but Sonia suggests horse and that sounds accurate to me. I didn’t have a MAC 217 on hand, DERP. I’ve added a Hakuhodo J142, a MAC 219, a Zoeva 227 and a Real Techniques Base Shadow Brush for size comparison. 01 Brush // I would describe 01 as a dense, angled stippling brush (?) and the only brush in the set that I don’t love. I have no complaints on the quality front, I’m simply not fond of dense face brushes but if that’s your thing, you may very well enjoy it. 02 Brush // A small, pointed face brush that I love for setting undereye concealer and/or highlight. Moderate density and soft enough for my insanely delicate skin. 03 Brush // A large pointed crease brush. I’ll often use it for transition eyeshadows in more complex looks or for everyday socket shading (when I want a lil something but am too lazy to do anything fancy). 04 Brush // A smaller version of 03 that I’ll use for precise socket work (fab for cut creases) or shading the lower lash line. 05 Brush // A new addition, Wayne replaced the old 05 brush (can’t even recall the shape) with this tiny pencil brush. 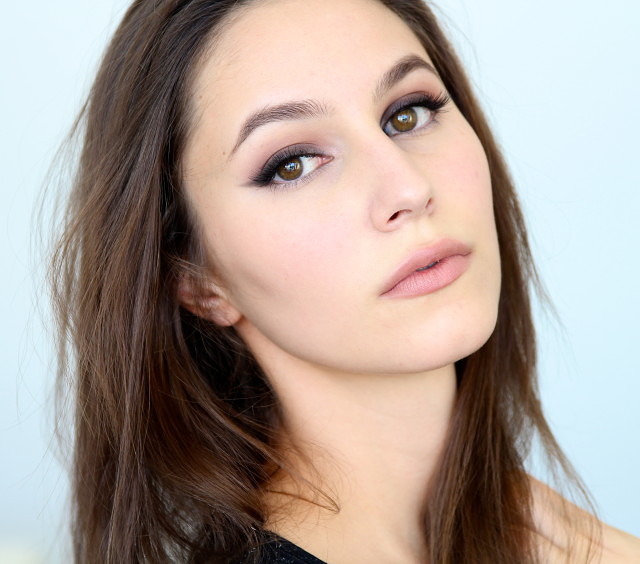 I actually love it for smudging pencil liner to a wing (AKA Karima’s easiest winged liner) although worth noting that it’s not super duper soft. I can use it comfortably on the lash line but it depends on how sensitive your eyes are, I suppose. 06 Brush // My favourite brush in the set. A fraction smaller than the MAC 217 with the same pinched ferrule but infinitely softer and silkier. If I’m looking to build quite a bit of depth in the socket, I’ll turn to the 06. 07 Brush // A push brush with curved edges. This is a funny one, very tapered and stiff so it irritates my eyes when used on the lash line but I do love it as a lip brush. 08 Brush // A microscopic flat push brush, almost identical to the Hakuhodo 521-D1. I use them both interchangeably for intricate eyeliner work or when tightlining with gel eyeliner. All in all, I’d recommend the Wayne Goss Anniversary Set (or Collection Set, they’re identical aside from Brush 01) to pretty much everyone. In particular, I think it would be a wonderful option for those who are looking to get into Japanese brushes but are overwhelmed with the possibilities; the quality is superb, the selection of shapes is well thought out and price per brush calculates at ~26USD. Not much pricier than MAC, really. The only missing puzzle piece is a flat shading brush but throw in a MAC 239 and Bob’s Your Uncle (is that an Australian thing?). 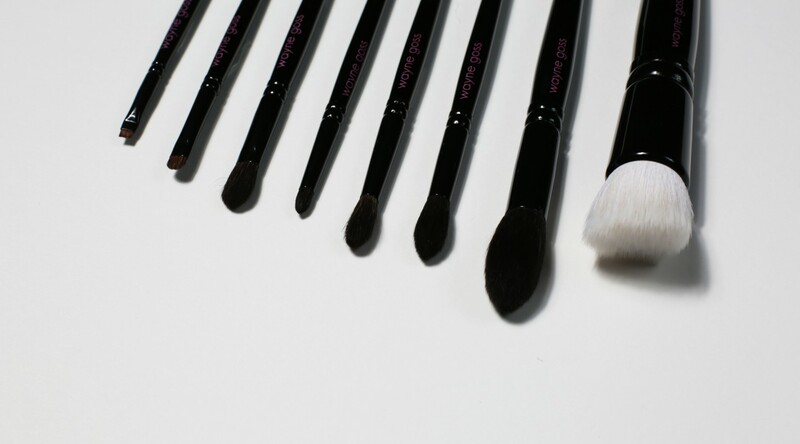 Have you tried Wayne Goss brushes? What are your thoughts? I haven’t delved into the other WG sets but I’ve heard they’re lovely. Collection Set available on Beautylish, the Anniversary Set appears to be sold out and you can buy the brushes individually. NB: I purchased both sets with my own caaaaaash moneys. Some of the links above are affiliate links. Very helpful post. I’ve been trying to look into Japanese brushes but there’s do much choice, it’s overwhelming. Karima, how funny I just emailed Sonia about this but I’d love your feedback as well. I purchased both the Wayne Anniversary and Eye sets as my first foray into Japanese brushes and oh mah gawd, I’m in LURVE! But I’m unsure how to really deep clean them while also protecting my investment. I’d love to use them on clients because they blow my MAC brushes out of the water, but I’m not sure how to both clean between back to back clients and how to deep clean after a day’s work. Any suggestions for products or methods? I typically don’t use alcohol on any of my Japanese brushes so not sure they’re well suited to back-to-back clients. Unless you’re okay with replacing them at some stage, alcohol will cause the bristles to deteriorate. My favourite soap for deep cleaning is the Beauty Blender Liquid Cleanser. I’m aiming to do a brush washing video soon, though! 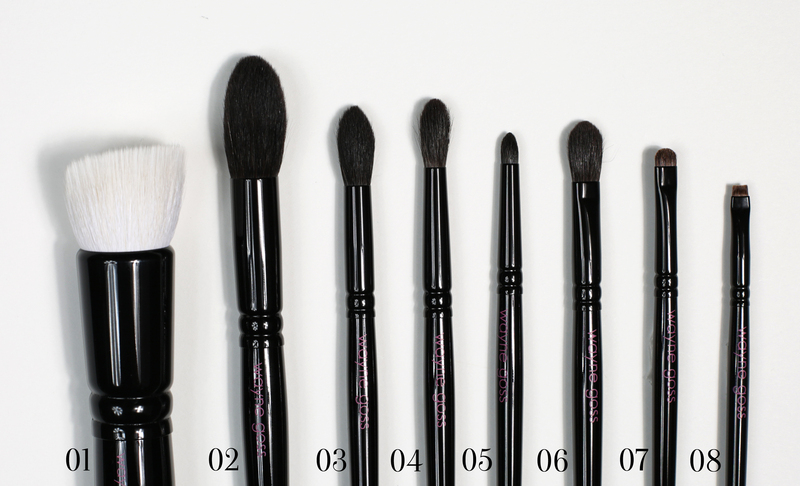 I’ve read Sonia’s post on the Wayne Goss Brushes when they first came out and she was able to provide a dupe of every brush he has on the Hakuhodo website. Honestly I feel the Wayne Goss brushes are over hyped so even though I’m a brush finatic I refuse to buy any after the purchase of the holiday brush which I found scratchy and not worth the price. She’d like crazy and wouldn’t soften up no matter what I did. Hakuhodo is my go to brand and it amazes me how some of the brushes in their line are comprable in price to MAC or even Sephora brand. I own Chikahodo brushes I don’t own a Suqqu but I have to say hands down my goal is to own every single kokutan hakuhodo brush there is. Those wooden handles and solid contruction are pure heaven and an absolute pleasure to use. I’m half way there with my collection. Otherwise I like my Cozette, Illamasqua, and Zoeva brushes. They are my favorite brands. My Chikahodo brushes while soft are not constructed as nicely as my Hakuhodo. Oh “Bob’s your uncle” is a phrase used here in the USA too but not as much as the word “like” or “basically” which drives me crazy. Your right! 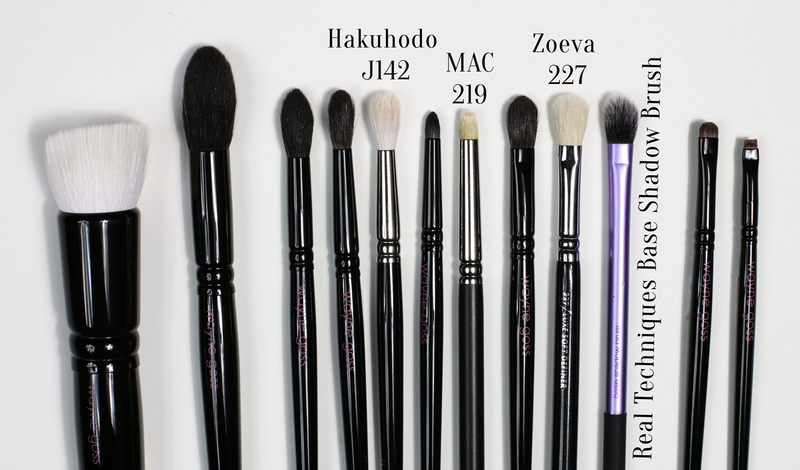 Wayne Goss brushes are Hakuhodo brushes…they make his brushes and it seems he just picked through their range and slapped his handle on them (maybe some minor changes in dye or hair type on just one or two?). However, I feel I derive a different conclusion from this fact than most people because that’s pretty much the entire reason I bought them. How could you go wrong with Wayne Goss picking out his favorite Hakuhodo brushes when you already know you love Hakuhodo? p.s. I also am OBSESSED with the beautiful Kokutan Collection handles (blurt unladylike moaning) and it seems Goss’ newest release is actually the Kokutan Finishing Brush L, which is the only thing that rivals my Suqqu Cheek in luxury . . . but also check out their two kazan squirrel brushes which is a softer hair type than blue or grey squirrel (more unladylike moaning). It seems that pretty much you can buy the same brush at either Hakuhodo or Goss (bout same price, but I haven’t seen an exact dupe for the #2, perhaps one or two others?). I personally like the Goss handles better than the Hakuhodo, with the exception of the Kokutan, but I would definitely get the new 2015 Holiday Brush from Hakuhodo since it’s part of the Kokutan; he released a new holiday one this year, I heard horrible reviews about the last holiday brush, but I think he has redeemed himself by announcing the launch of my fav as it’s replacement. Slow clap. Hey Nic. Oh 100% agree with you on those Kazan brushes…eee gawd they’re amazing and are among my top faves. I’m with Shelly too…at this point with all the brush hording I’ve done for the past 10 years I only buy brushes with different shapes or hairs. I’m confused. Would you mind clarifying for me. So which holiday brush got bad reviews? Not the 01 black and white holiday brushes that look like bigger brushes of the 02? Are you talking about the holiday brush released this year? And which brush is replacing it? Thanks! I don’t have both, but they are both advertised as being blue squirrel and synthetic mix? And yeah, I did hear poor reviews about the ones released in black and white, but I don’t own them and can’t actually say. Long story short, you should really invest in the kokutan finishing brush L if you share the affinity for the kokutan. Mm…I’ve been eyeing that brush, too. Rather greedy of me, as I already have two beautifully enameled Chikuhodo Z1 (I think that’s right…the big one) brushes. I use one for all over powder and one for bronzer,many the finish is always perfect, never overdone as it picks up the perfect amount of product to let you build. But who can resist the call of such a gorgeous brush? Oops sorry..they’re the MK2 brushes from the Makie series. Got mine from the Visage site. I don’t own any Goss brushes, either, and I am also a brush lover. I think my thing is the shapes. Other brands offer similar-shaped brushes at either a similar or lower price point (same or different hair type), and they’re not shapes I’m interested in or would use regularly. The Hakuhodo Kokutans are gorgeous. I don’t own any, but yeah. Interesting, I own the Holiday brush and although it’s not the softest face brush I own, it didn’t shed at all. I think “Bob’s your uncle” may be just a general white English-speaking person thing? Maybe a little regional as well? I’ve heard it occasionally here in the States. Anyhoo. The original WG #5 was a small tapered crease brush. I love these brushes. I bought the Anniversary set just to get the larger 01 brush and I already have the smaller 01 brush from the Collection set. 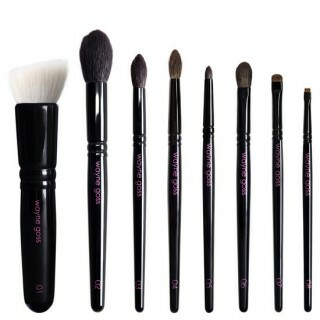 Both brushes are wonderful for us girls with larger pores. The 01 brushes fill in the pores beautifully with foundation. I love all of his brushes. Good to hear you love them, too! A Hakuhodo Order usually took 7 days of research for me, before buying… The brushes are SO good, but the selection is just waaaay too overwhelming. I’ve always been eyeing the Wayne Goss brushes.. maybe I’ll finally order. But I already have every brush I could ever need. But BRUSHES!!! Haha brushes are an addiction for sure! I bought the eye set when it first came out about 2 years ago now, I think? I have to say the #2 brush is my favourite one. I’ve even considered getting a back up one. The pressed and loose formula is very similar, I just prefer the compact for ease of use. I own these this set too. Would love to know what you use to wash them. Mine are in desperate need of cleaning but I don’t want to ruin them. Thx! Not the Guru here, but just some options that have worked super well for me on my ‘spensive Hakus, Chikus and WG brushes: Beauty blender solid cleanser. Rinses clean, works especially well to remove concealer, base and other liquid/emollient products and no residue. The London Brush Company makes a Goat Milk cleanser that is also lovely, but not quite as good as the BB at removing cream products. Rinses clean. Dr Bronner’s soap is my 3rd choice. I wet the brush, being careful not to tilt it up so that no water gets into the ferrule, lather against my hand and rinse, again angling the brush down. I squeeze the water out gently with a towel or face cloth, apply the appropriate size brush guard (Beautylish), dry flat over a mesh surface, and Bob’s Your Uncle! My brushes seem very happy with this protocol and have been for years. Hope that helps. I use the Beauty Blender Liquid Cleanser (very little) and wash them gently without mashing the bristles. Also, I dry in brush guards. Wow this brush set is insane! I think that zoeva and real techniques are the best for fixing your concealer below your eye area or even for putting highlighter on your ceeks. 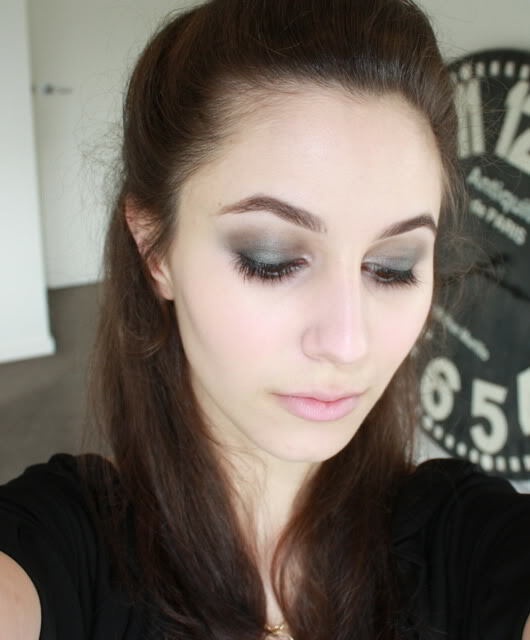 Urban Decay Naked 3 Tutorial and Giveaway!